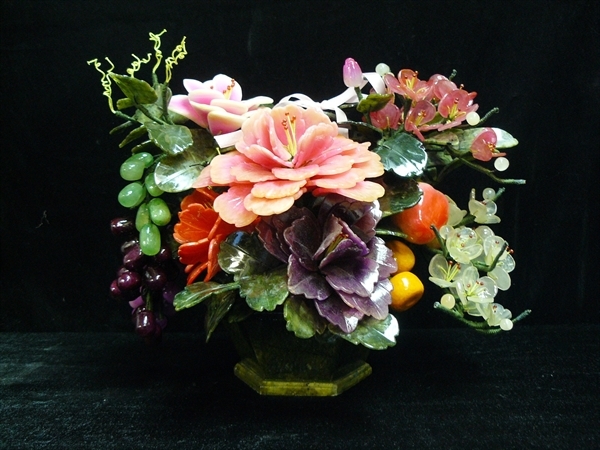 WIDE: 18", HIGH: 14", DEEP: 12". 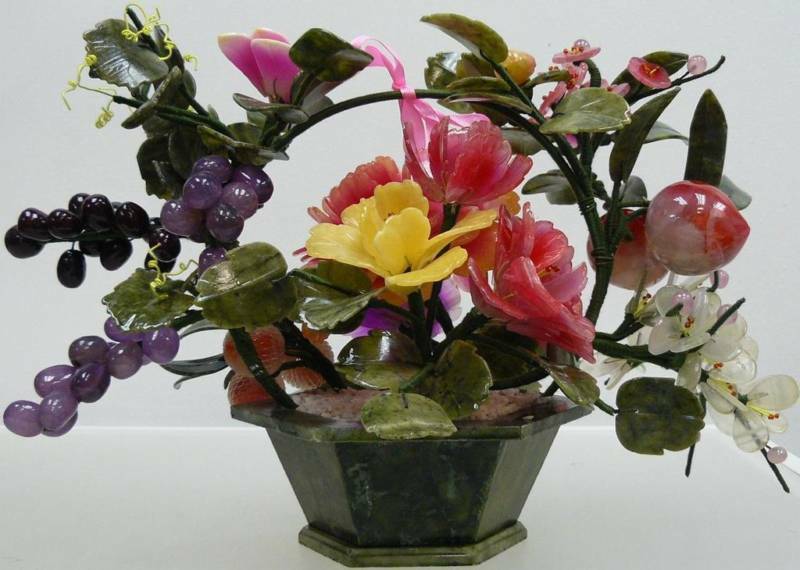 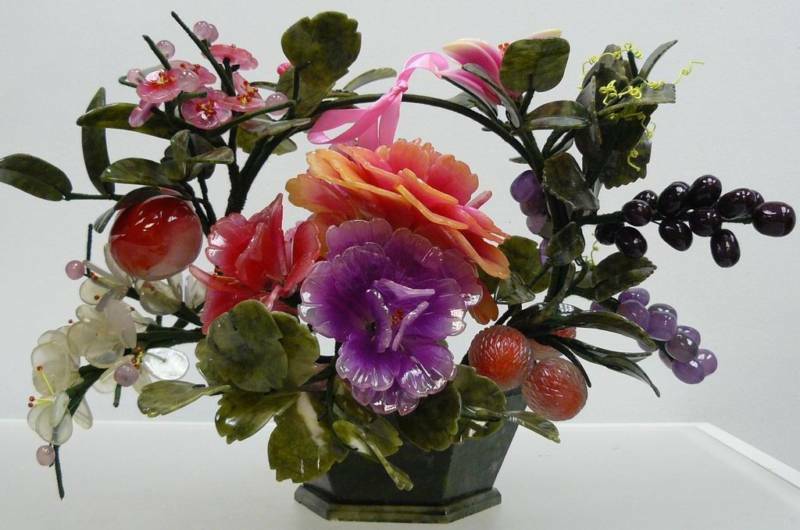 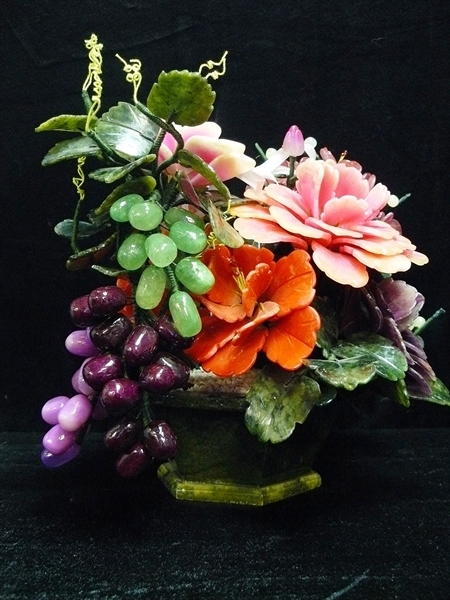 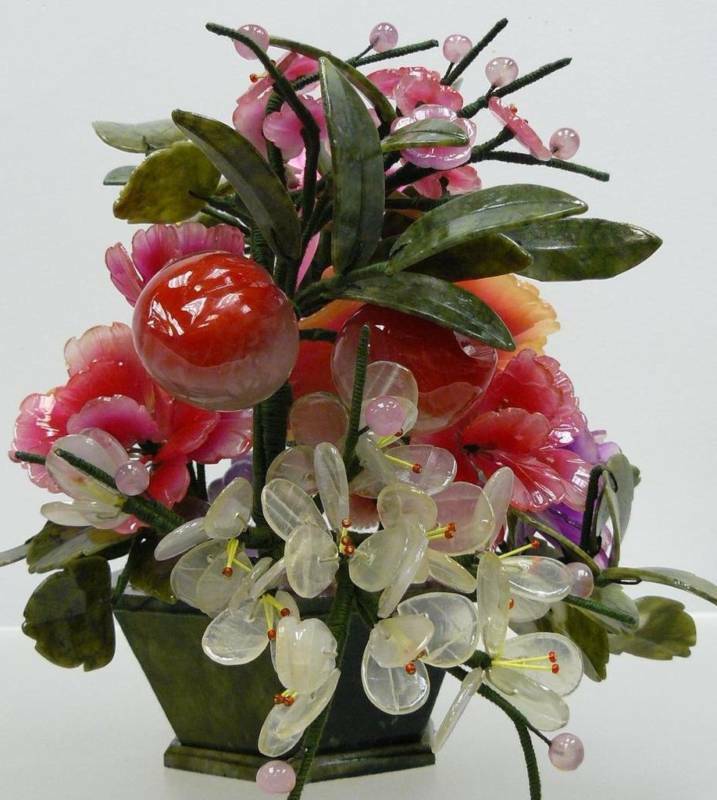 THIS BEAUTIFUL JADE FLOWER BASKET IS MADE FROM MULTI-COLOR JADES, SUCH AS NATURAL YELLOW JADE, TAIWAN JADE AND SOUTHERN JADE AND LAVENDER JADE. 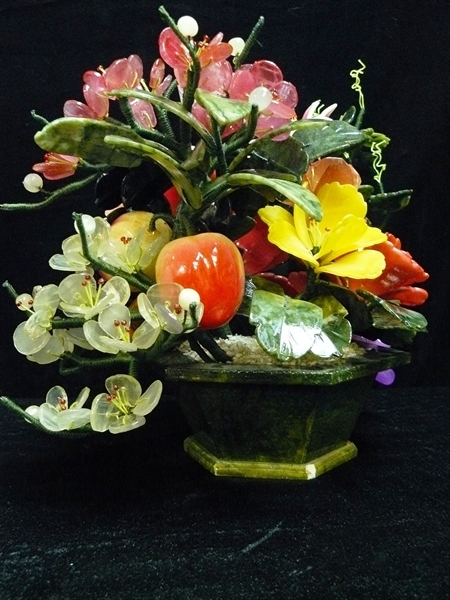 THE TREE IS PLANTED ON A TAIWAN JADE POT, FILLED WITH HAN-WHITE JADE. 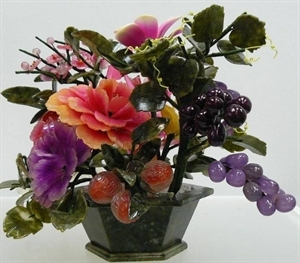 ITS LEAVES ARE MADE OF TAIWAN JADE.